Need a timer for your workout routine? Look no further. This app has your timer needs covered. Offering a wide range of timers to choose from and the ability to share them with your friends and other devices, you'll never need another timer app again. Use an Apple Watch? 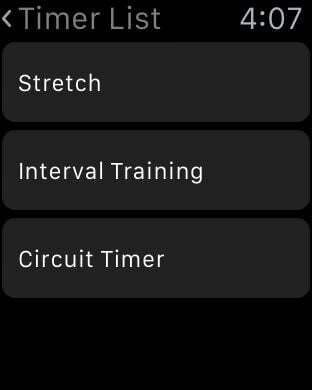 Get timely notifications when an exercise ends and see what exercise follows. 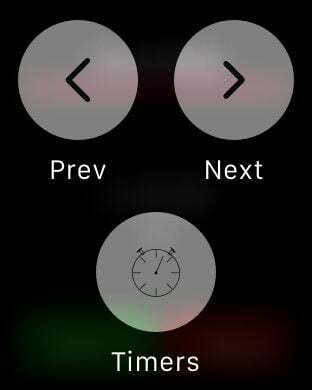 You can also select a timer on the watch and control it if you install the Apple Watch version of the app to your watch. - Simple Timer: good for stretching and single exercises. Also good for cooking! - HIIT Timer: good for interval training. Provides an interchangeable low and high intensity timer. - Circuit Timer: good for circuit training. Allows you to add multiple timed exercises to the workout. - Tabata Timer: similar to a circuit timer but then with 8 sets. Also allows multiple exercises. - Round Timer: good for a single exercise that needs to be repeated often. Offers a break timer between rounds. - Compound Timer: Combine multiple different timers to form a complex timed workout. Each timer offers the ability to set audio alerts, exercise music, and warmup and cool down timers. Color code your exercise and warmup/cool down timers so you can easily identify what exercise you are on. Audio alerts include short and long beeps for count ins and count downs. Voice alerts are also available, including the option to speak the name of individual timers and exercises. Most timers also offer an overrun option that allows the timer to continue after it has completed. Timers offering multiple exercises also offer a randomization option to mix up the workout. All timers offer the option of a three second count in before the start of the exercise.